Arrive at the Istanbul Atatürk Airport and transfer to the hotel. Spend the rest of the day at leisure. After a scrumptious breakfast, take a city tour of Istanbul. 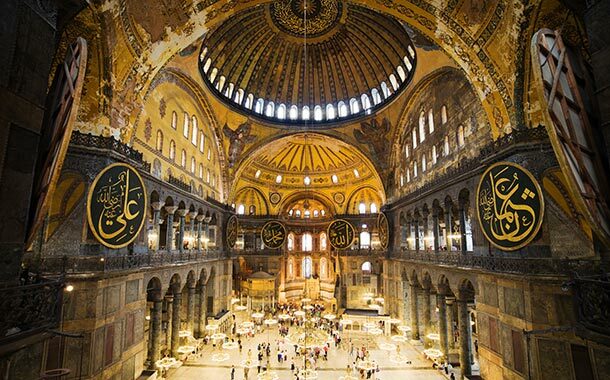 Visit the Sultan Ahmet Center, the heart of the Imperial Center from where the Byzantine and Ottoman Empires once ruled. Explore the Hippodrome, a beautiful park known as the Byzantine chariot racetrack – a stadium capable of holding 100,000 people. There are three great monuments in the Hippodrome, the Egyptian Obelisk of 1500 BC, the Serpentine Column from the Temple of Apollo at Delphi and the German Fountain of Wilhelm II. 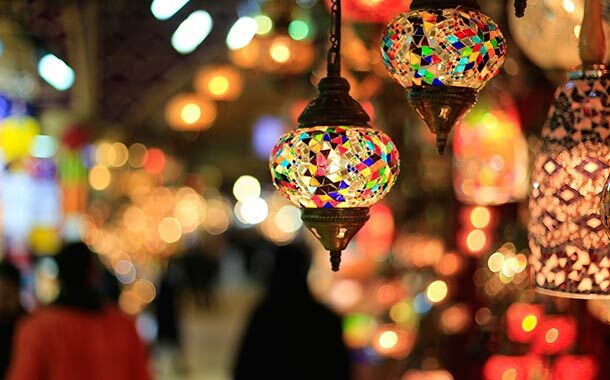 Later, visit the Blue Mosque which faces Hagia Sophia and features six towering minarets and spectacular interior covered by overwhelmingly blue Iznik tiles and take a peek into the opulent existence of Ottoman Sultans at the Topkapi Palace. Enjoy a delectable breakfast and go on an exciting half day Boshphorus cruise. Enjoy splendid views as you cruise through the waterway that divides Europe and Asia. It is the best way to to get an overall glimpse of the charming city of Istanbul, where old world charm blends beautifully with modern infrastructure. See the splendid mansions, marble palaces and ancient wooden houses embodying typical Ottoman architecture stand in striking contrast beside modern villas lining the shores. Enjoy breakfast, check out from your hotel and spend the day shopping and exploring the city on your own. In the evening, transfer to the airport and board your flight to return home with great memories of your holiday. If you are a sun and sea lover, this Turkish paradise offers you an array of splendid sandy beaches, where you can spend time relaxing or go on a refreshing yacht experience. And if you are a history lover, explore the birthplace of many civilizations, empires, historic figures and legends together with diverse mixture of many different ethnic origins. * Prices are quoted per person on a twin-sharing basis in a standard room with inclusions listed above. No amendments or changes will be possible. Prices are correct at the time of publication and are subject to change without notice depending on travel dates and availability. All photos and videos shown are illustrative. Actual services may differ. Terms apply. * In the event of a cancellation 10% of the booking amount is non refundable. Refunds will be based on how many days prior to your booked departure, we receive your cancellation notice, with the charges increasing closer to your departure date. If the cancellation is received 45 - 30 days prior to departure 25% of the total amount will be deducted, if the holiday is cancelled 30 - 15 days prior to departure 40% of the total amount will be deducted, and if the trip is cancelled 0 - 15 days prior to departure 100% of the total amount will be deducted.